Welcome to Frederick Dental Practice, your family friendly dentist right in the heart of Greenock, Inverclyde. We have been established in the local community for more than 25 years, and every member of our dental team takes pride in offering high-quality dentistry for you and your family in a friendly and relaxed environment. Our patients span every generation and we’re proud that so many continue to keep coming back to us year after year. Here at Frederick Dental Practice, we offer a full range of NHS dental treatments to maintain your dental health. We’re also pleased to provide a variety of private cosmetic treatments such as veneers, crowns, bridges and teeth whitening, all of which can complement the great oral health we’ll work with you to achieve. Our practice has five modern surgeries, two of which have level access. We also have two waiting areas, a reception, and a sterilisation room to keep us compliant with all relevant health and safety regulations. We believe it is important for all children to attend the dentist at an early age, even babies! With that in mind, we wish to encourage all parents to register their children from birth. This not only helps to instil good dental health habits from an early age, it can also prevent feelings of fear or worry developing around visiting the dentist. 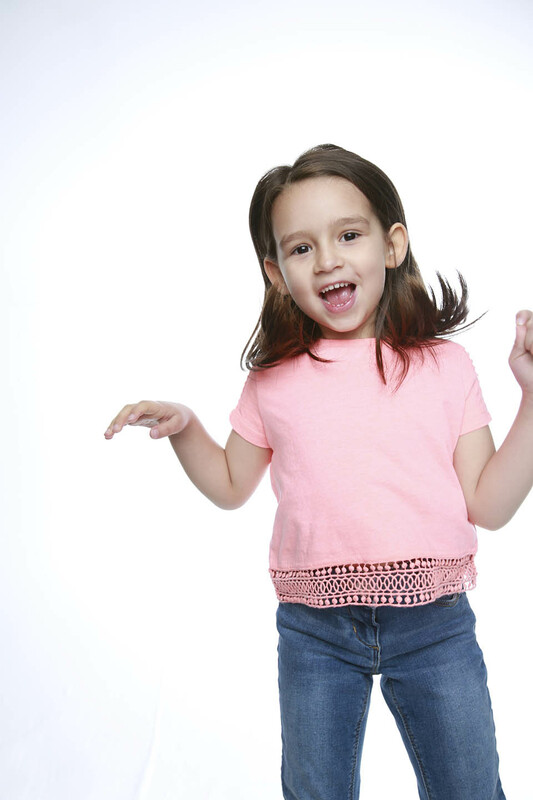 As a registered Childsmile practice, we promote this programme for all eligible children. As well as preventive care and advice, fluoride varnish is applied twice yearly to children aged two and above to help protect their teeth. As art of our commitment to you, we make every effort to see registered emergency patients on the same day. If you have a dental emergency, please try to call before 10am and we will try to fit you in as soon as possible. If you are not registered with us, and we have appointments available, we will try to see you, however priority must be given to registered patients. If you have a severe emergency outside of surgery hours that cannot wait until the next day advice is available on NHS 24, just call 111. We are fully committed to both NHS and private dentistry, and are currently able to take on new patients. Patients wishing to register with the practice can telephone 01475 785005; our dentists, hygienists and nursing team look forward to providing your dental care. Chris is a Newcastle Dental School graduate and has been working in Scotland for over 10 years. He has a great deal of experience of treating nervous patients and caring for people with special needs. He provides a full range of dental treatments. Outside dentistry, he is a keen supporter of Sunderland Football Club and enjoys cycling, swimming and running. Janet has been working in the practice for eight years and has really enjoys getting to know her patients and treating everyone as an individual with different needs. She loves her job because she gets to meet lots of varied people every day and feels it really makes a difference in their lives by improving their oral hygiene, giving them more confidence to smile again, or even just taking their pain away. Out of practice, she looks after her two young kids, helps run a toddler group and loves walking and camping. Alison qualified from Edinburgh Dental Hospital in 1991 and worked there for a year before going on to work in hospital posts in England. She obtained her fellowship in dental surgery in 1996 whilst working at Birmingham Dental Hospital. A couple of years were spent working in a dental practice in Yorkshire before going to live in Australia for several years. Whilst there, she was employed as the Senior Dentist at Cairns Base Hospital and enjoyed regularly flying with the Royal Flying Doctor Service. She has worked at Frederick Dental Practice for the last 13 years. Joanne qualified from Glasgow University in 2010 and began working at Frederick Dental Practice soon after. She took the opportunity in 2012 to take time out and work in Australia, experiencing both city life of Sydney and the remote bushlands of Broane and Kalgoorlie. Joanne’s most enjoyable and rewarding job was working in the schools treating children. Outside of work, she enjoys travelling when she can and wining and dining. Matthew qualified in 2010 from University of Glasgow and then completed a year-long restorative course run by Professor Paul Tipton in Manchester. Matthew completed his vocational training in Tarbert, Argyll before doing a six-month post in Endodontics at Glasgow Dental Hospital and then a six-month post with the community (Public) Dental Services in NHS Forth Valley. From this, Matthew moved to work as an Associate in Govanhill in the Southside of Glasgow before moving to Largs, where he spent just over four years as an Associate. Outside of work, Matthew enjoys going to the cinema. He is also actively involved as an Officer with the 1st Glasgow Boys’ Brigade Company. Amy-Beth qualified from University of Glasgow in 2013. She worked in practices in Kilmarnock and Saltcoats before starting at Frederick Dental Practice in August 2015. Since qualifying she has done a year-long restorative dentistry course based in Manchester. In her spare time, she enjoys figure skating and competes in competitions in synchronised skating. Mary qualified in 2007 from James Watt College with an SVQ in Oral Healthcare – Level 3. She likes working with children (Childsmile qualified) and dealing with patients’ day-to-day. In her spare time, she likes walking her two dogs. Gemma joined the practice in May 2013 and qualified the following year. The thing she enjoys most about being a dental nurse is working with the public. In her spare time, she enjoys keeping fit and socialising with her friends and family. Amy joined Frederick Dental Practice in October 2014 and qualified in June 2016. She enjoys working with the public. In her spare time, she enjoys going to the gym and socialising with friends. Abbi started training in June 2015 and is currently working on achieving SQA Level 3 in Dental Nursing. She enjoys being a dental nurse as it gives her lots of skills and every day is different. Outside of work, she enjoys spending time with friends and family. Ainsley started working at Frederick Dental Practice in August 2015 and aims to achieve her qualification and become a qualified dental nurse. Her favourite part about working as a dental nurse is getting to be interactive with people and help the older generation. Outside of work, Ainsley enjoys going to the gym with her fellow colleagues to keep fit. Vicki started working as a trainee Dental Nurse in 2007 and qualified in 2011. She enjoys working as a Dental Nurse as every day is different. Outside of work she enjoys doing activities with her daughter and walking with her dogs. 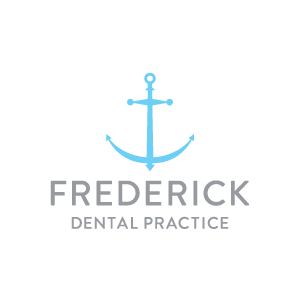 Frederick Dental Practice has on street parking outside the practice and is located half a mile, about a 10min walk from Greenock West train station.